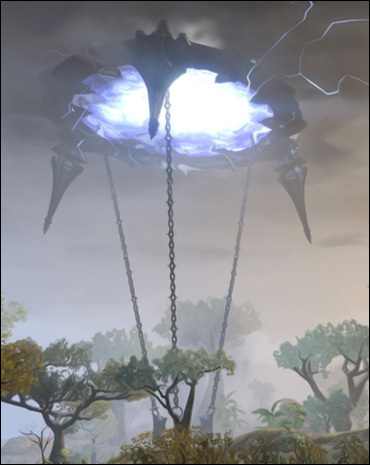 Dolmens, often referred to as Dark Anchors, are large daedric chains which fall from the sky and spawn daedra. These are summoned by members of the Worm Cult which act on behalf of the daedric prince Molag Bal. The Dolmens relate to the main story and the “plane meld” which is Molag Bal’s scheme to meld the planes of Nrim and Coldharbor in Oblivion. At random intervals Worm Cult members summon Dark Anchors in set positions and when approached by a player the ritual will complete sending down many daedra. You can find Dolmens on the map at this symbol. You can deal with a Dolmen by slaying the daedra which arrive and activating the four pinions on each side of the Dolmen. The fifth and final pinion will activate after the final wave of daedra and will destroy the Dark Anchor. Dolmens are rewarding to complete, offering some XP, Fighter’s Guild XP and a chest of “items from Coldharbor” which often contains gold, green and blue quality items and sometimes a Soul Gem. 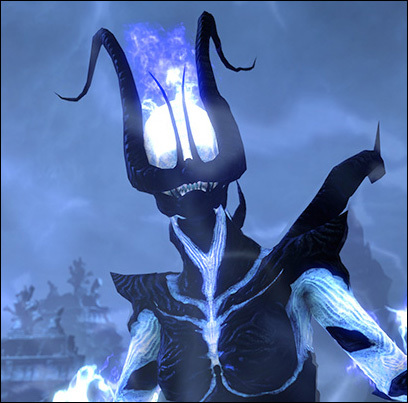 Some Dolmens have a chance to spawn a daedra boss which is difficult to kill and will sometimes drop unique rewards and items. A zone normally has three Dolmens to complete with the enemy daedra at the level of other enemies in that zone. Cyrodiil also has Dark Anchors, 10 in total, which have the chance to drop unique siege equipment from Coldharbor. These Coldharbor siege weapons deal more damage compared to conventional weapons and offer an incentive to attack the Dolmens while doing some PVP. The siege weapons also look pretty cool! There are 16 Generals which have a random chance of spawning in the final wave of a Dolmen. If you slay all of these bosses at least once you will gain an Achievement (General Executioner) and a dye color – Daedric Red. The Generals have specific zone spawning areas but any of the 3 Dark Anchors in that zone has a chance to spawn a General. In Cyrodiil any General can spawn at any Dolmen.